Quasi-optical band-pass filters are intended for selecting specified frequencies in the range of mm- and submm-waves. The filters can be used in a variety of applications including laboratory and space research. The filters are implemented on basis of specially designed multilayer frequency selective microstructures, which resonantly transmit the radiation within a specified frequency band and reflect the out-of-band radiation. We offer a wide range of high performance band-pass filters with central frequencies up to several THz. 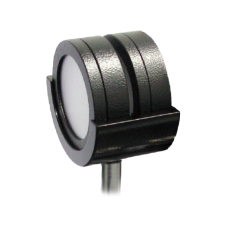 The filters exhibit high peak transmission and low out-of-band spectral leakage. To maximize the out-of-band blocking, two filters in a row can be easily employed without significant losses in a peak transmittance. Additionally, the filters can be designed according to the customer’s specification. The filter characteristics can be optionally customized. Our filter technology is versatile and can be optimized for a wide range of experimental demands including operation in cryogenic environment.